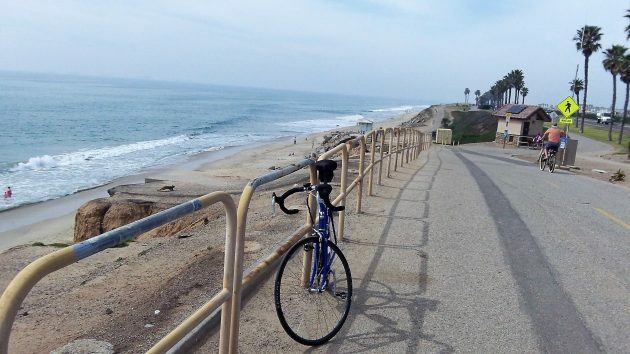 Dreaming of sunny bike paths (like this one in Orange County) while following the local planning in this winter’s rain. 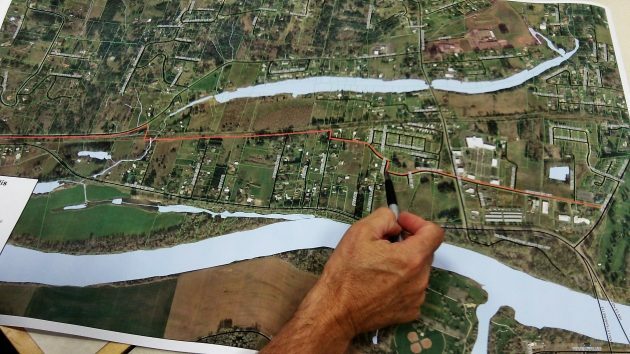 A planning committee in Benton County has been looking for the best feasible route for a potential bikeway between Albany and Corvallis. A couple of weeks ago it picked three alternatives for closer attention. But two of the three look impractical, at least to me. On March 22, this panel of “stakeholders” will meet again, at noon in the public library in Corvallis. The members want to review the three preliminary routes some more. If they want a suggestion, mine is to drop two of the alternatives and concentrate on the third, a separate path alongside the southeast side of the Albany-Corvallis Highway. One of the alternatives would have cyclists use a roundabout route of bike lanes along county roads including Gibson Hill, Independence, Metge and Granger before connecting with Highway 99W. It’s hilly and much too indirect. It’s a great route for Sunday rides, but regular commuters would not use it except under duress. The other alternative goes along the Willamette River upstream from Takena Landing. It would be scenic and quiet. But it would most likely also conflict with wetlands and farms. And during the winter when the Willamette runs high, I wonder whether that route could be used at all. The advantage of placing the bikeway on the south side of the highway is that it’s the shortest distance between Albany and Corvallis and the terrain is level. But if the Albany leg materializes where it’s planned, then a signal at Scenic Drive would be desirable to allow cyclists to get across the highway. On second thought, it might be better to scratch that plan, put the Albany leg south of the highway too, starting at Takena Landing, where a signal already exists (at North Albany Road). The Albany leg, in red, probably should be changed to accommodate the Benton proposals. Of course, because exerting eminent domain over the farms that would have been in the way of the bike path is so “trivial.” Mind you, these farms are the epitome of the philosophy of sustainability so favored by Corvallis residents. It seems to me that the main problem with your proposed route (abutting the south side of highway 20) is the lack of much shoulder and steep drop off around Rainwater Lane. I thought ODT was going to do something about this and that the phone company had done something to their lines to facilitate some widening and guard rails in that area. I still don’t get why the RR alignment is a no go. Are there farmers that own some of the councilors?